This campaign is not accepting any more contributions. To donate to another worthwhile YouHelp fundraiser, click here. In the 30034 zip code alone, surveys suggest that 15.3% families live below the poverty line and of those families 4,267 are female led households with no husband present. For a single woman with one child, an hourly rate of $22.43 is needed, but those at the poverty level are only making $8.00 if they are employed. Consequently, Single Mothers Matter a start-up organization desires to do our part and provide these mothers with the skill training and development needed to increase their income; in effort to obtain financial stability for their families. We will provide life and career coaching, business planning, and Toast Masters training to mothers in effort to increase their earning potential. In addition, we will provide transportation, childcare assistance. parenting education, and financial literacy to program participant mothers and their teens. For mothers that find themselves in a housing crisis, we will also assist with temporary housing to program participants. It is our belief that single mothers and their families will be empowered to become financially independent and thrive because of the help they will receive from Single Mothers Matter organization. Please help us change the future of families and the communities in which they live by providing the tools and support that they need to reach their fullest potential and a brighter tomorrow. Your tax deductible gifts will enable us to do that and more for single mothers and their children. Please visit our website at singlemothersmatterdecatur.org to learn more. We are asking you to help us raise $50,000 to support programs and services that will empower single mothers to pursue their passions and purpose in effort to provide financial stability for their families. Believe in the work that you're doing. This was needed to make the campaign live. 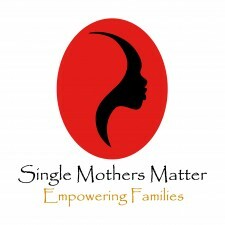 "Let Single Mothers Know That They Matter,"
You can find at this link. Please donate to another worthwhile YouHelp fundraiser, click here.